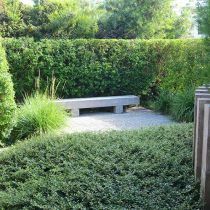 Lutz and Inca’s garden makes the most of a small space. 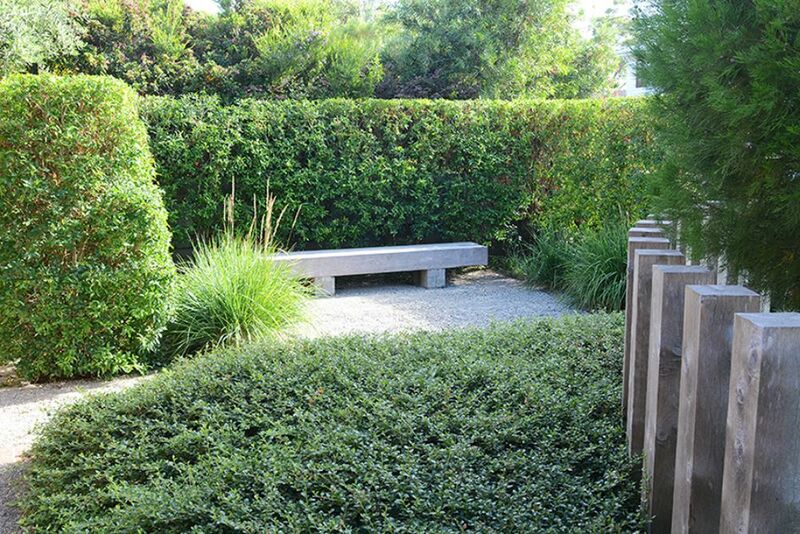 The open, paved areas are perfectly balanced with generous soft plantings, including a perennial meadow, grasses and flowering shrubs. 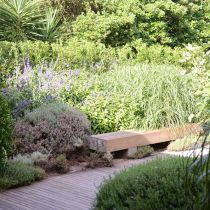 The lush perennials are allowed to spill into the open spaces, blurring edges and creating warm and inviting places to sit and relax. 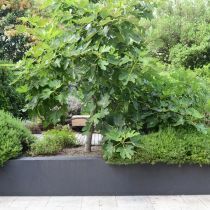 The Orchard is squeezed into the narrow space on the north side of the home, providing a sunny aspect to grow fruit trees, herbs and vegetables. 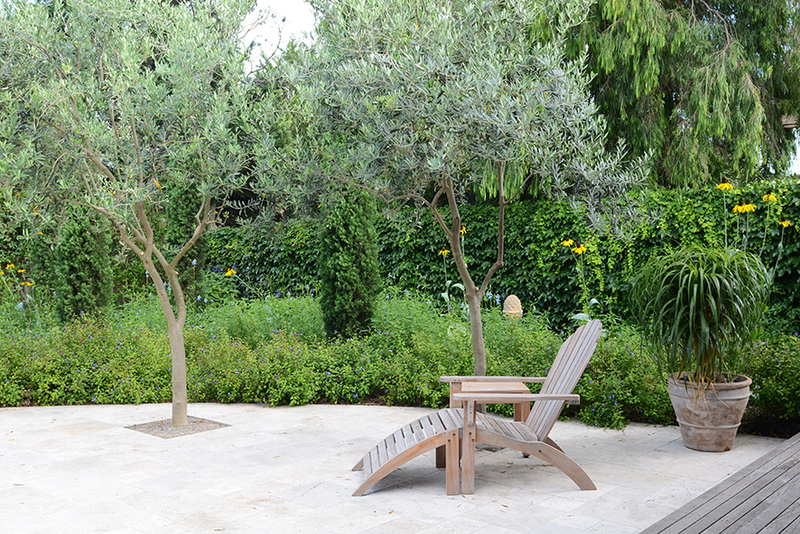 A feature of the orchard is a small, secluded courtyard off the master bedroom which provides a lovely place to sit quietly with the paper and a morning coffee. 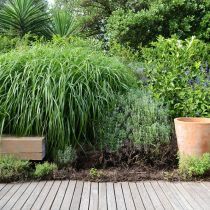 Connection between the home and the garden is a key to its success. 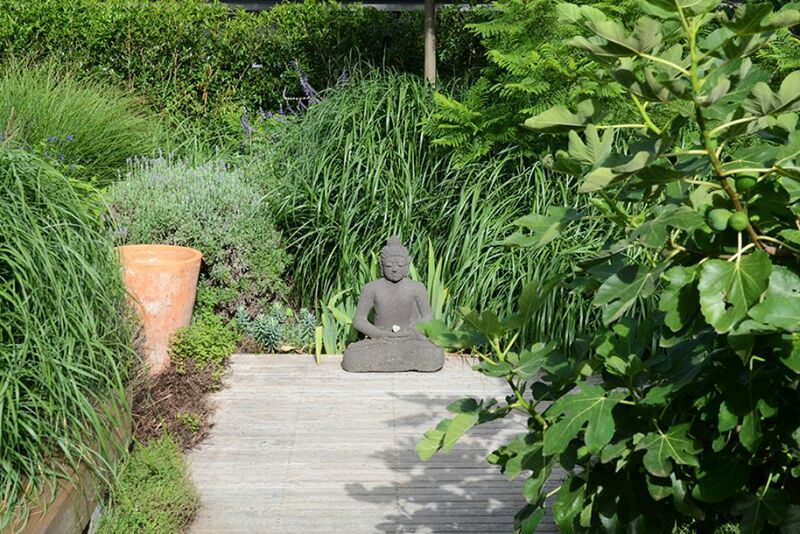 Each room of the house connects to a different part of the garden: the kitchen connects with the orchard, the living room connects with the entertaining space, and the yoga room links with a narrow deck stretching out into the garden. 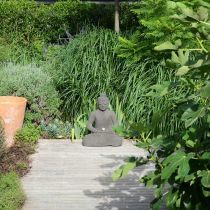 As well as a strong connection with the home, the garden also visually connects with the neighbouring gardens. 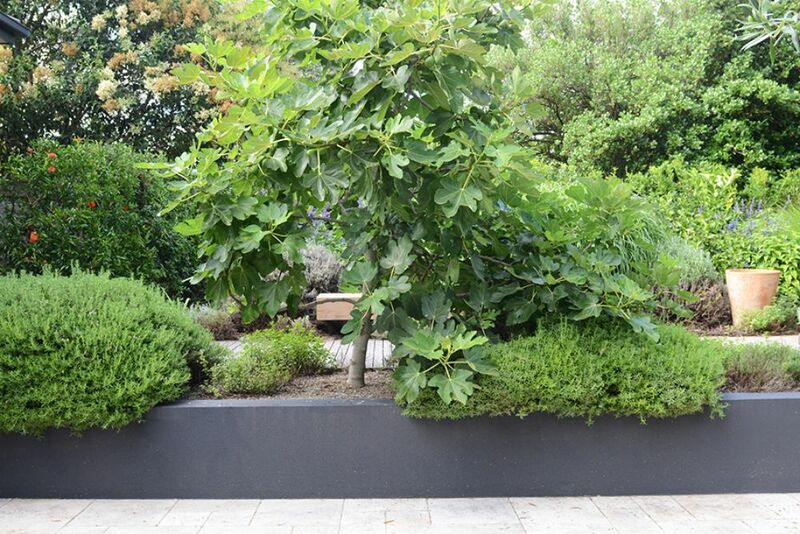 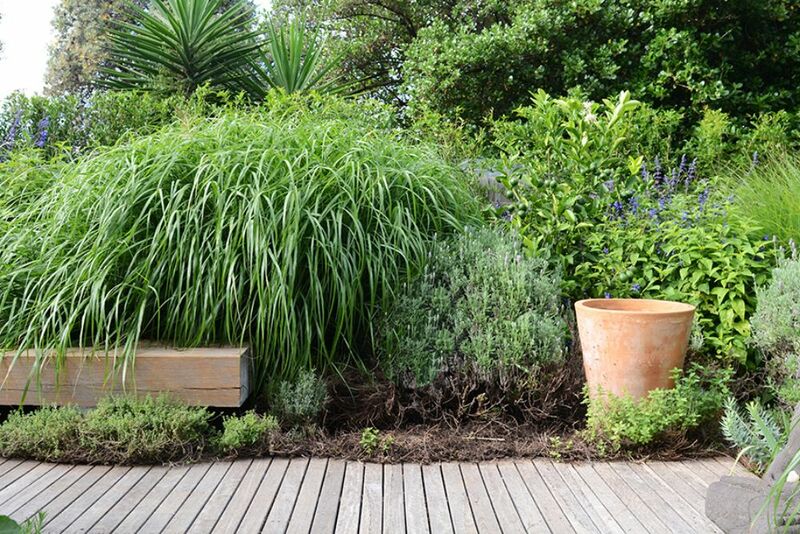 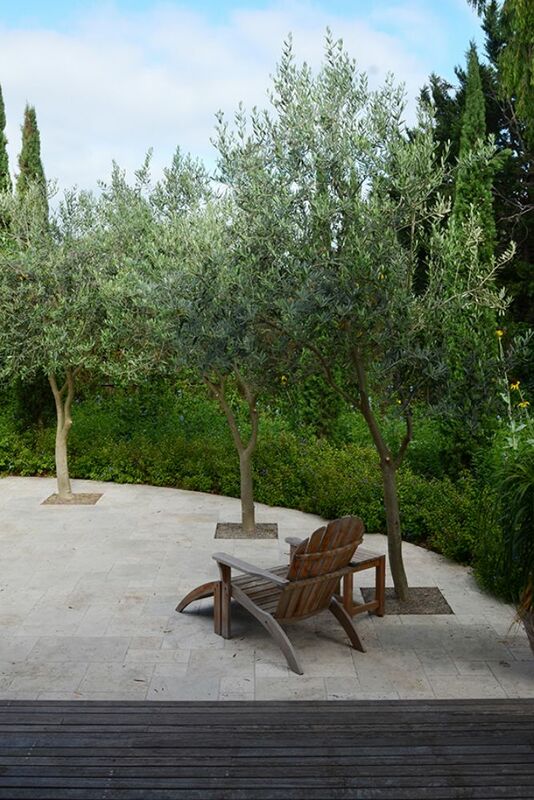 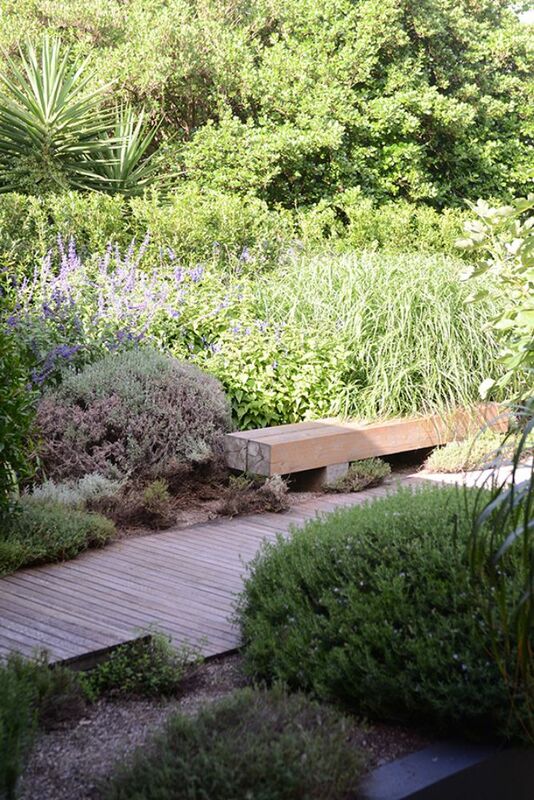 The ‘borrowed landscape’ is used to create the sense of a much larger garden. 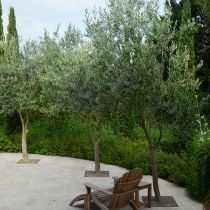 Pencil pines have been planted to link with the conifers in the distance, and one of the major features of the garden is a neighbour’s enormous Agonis (Willow Myrtle).